Biscuits are just a basic thing that can be easily thrown together. Many times I have no idea what is for breakfast and this is my go to. We make all kinds of biscuit sandwiches for breakfast!! 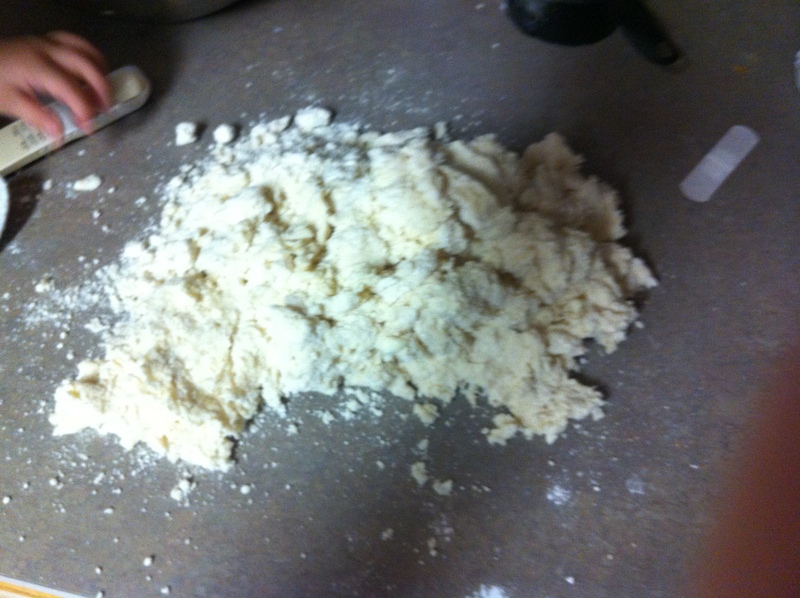 My frugal friend posted a while ago about freezer biscuits. That recipe is much better if you want frozen dough. These are fantastic, but I have a hard time getting them to rise like I want once they have been frozen. I do, however, cook them completely sometimes and then freeze them. If you do that, you need to eat them within a couple of months or they taste funny! 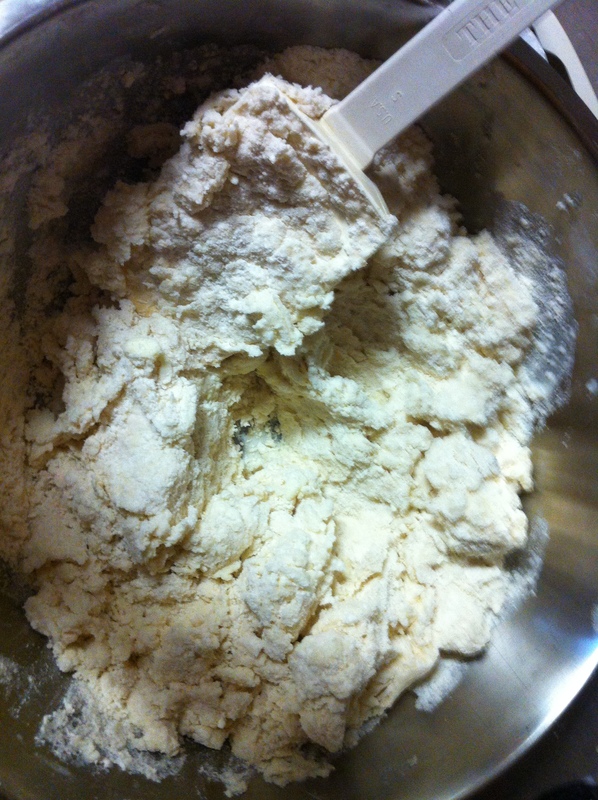 Sift together the flour, baking powder, salt and sugar. 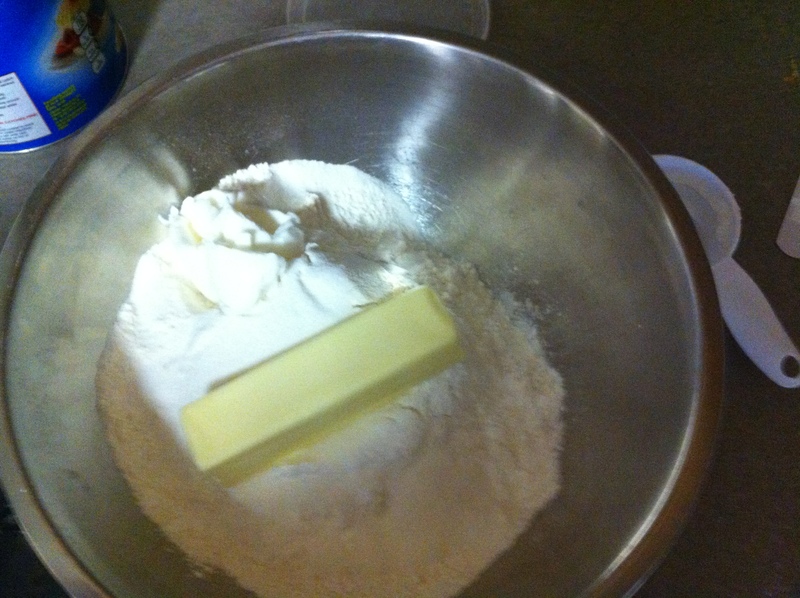 Then toss in your butter and shortening. 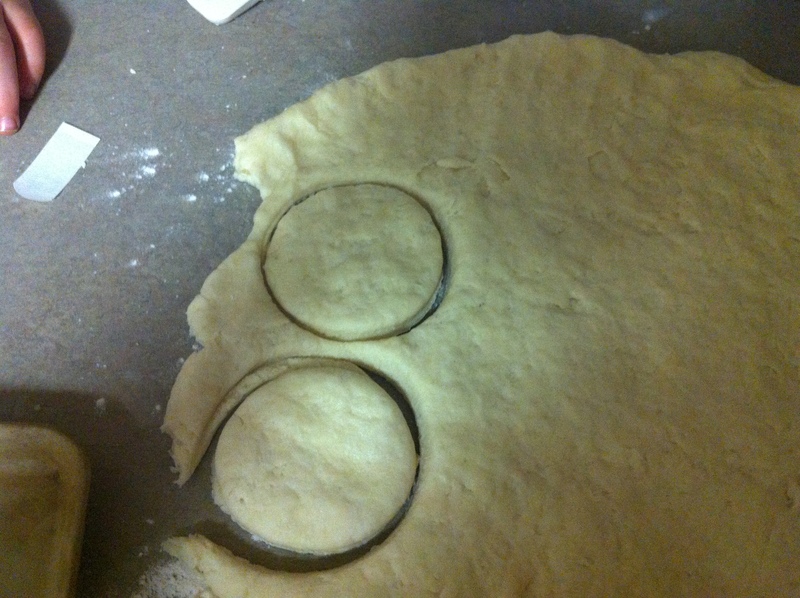 If you have a pastry cutter it works GREAT!! 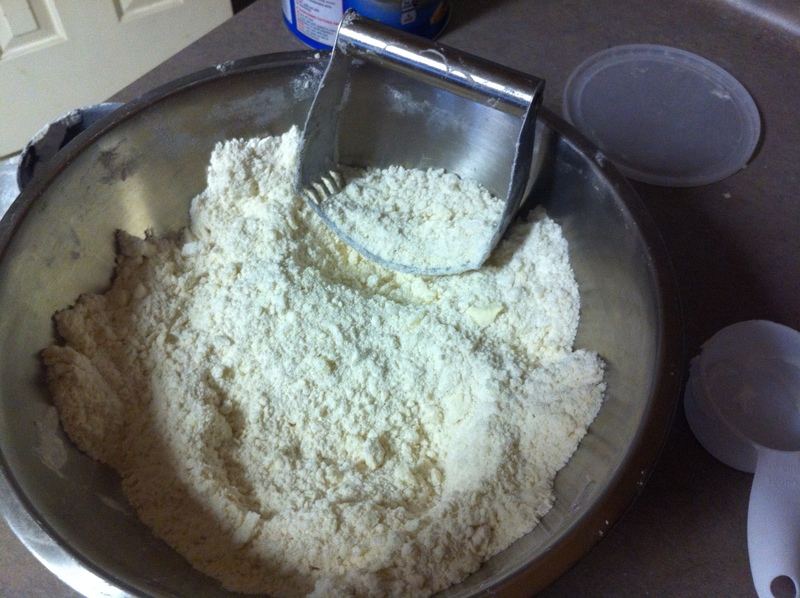 I just slice the shortening and butter through the dry ingredients until it is mixed with very few crumbles. If you don’t have one, just use a fork. Pour in the milk and mix. You will be tempted to add more milk….DON’T DO IT! It will be a very dry mixture at this point. 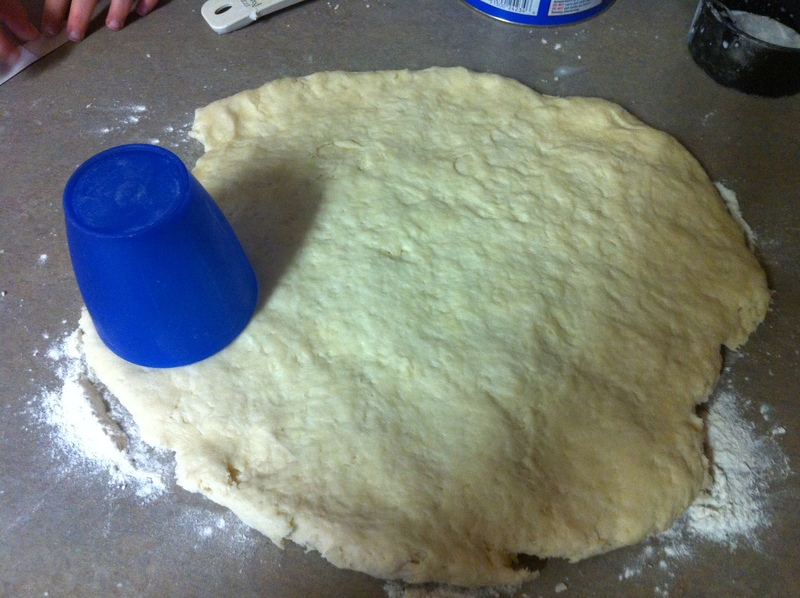 After a couple of minutes you should have a nice ball of dough. 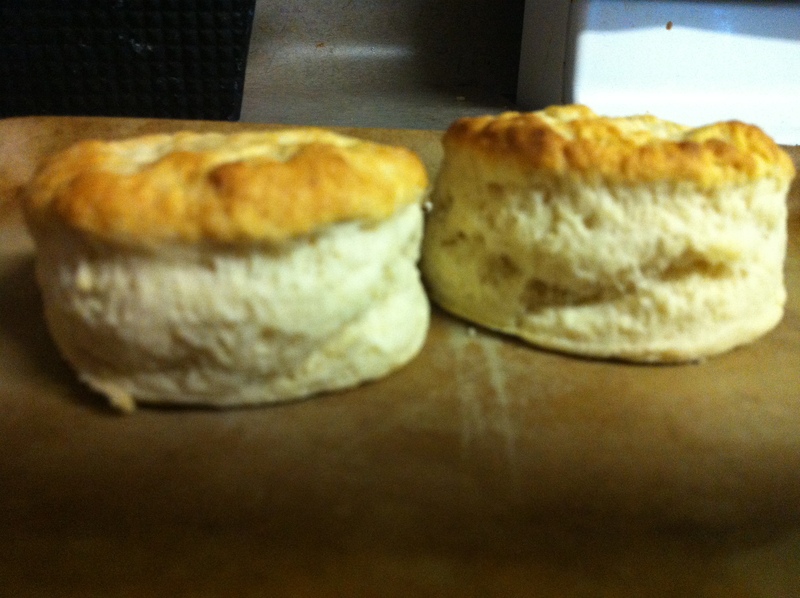 Bake biscuits on 450 for about 8-10 minutes. 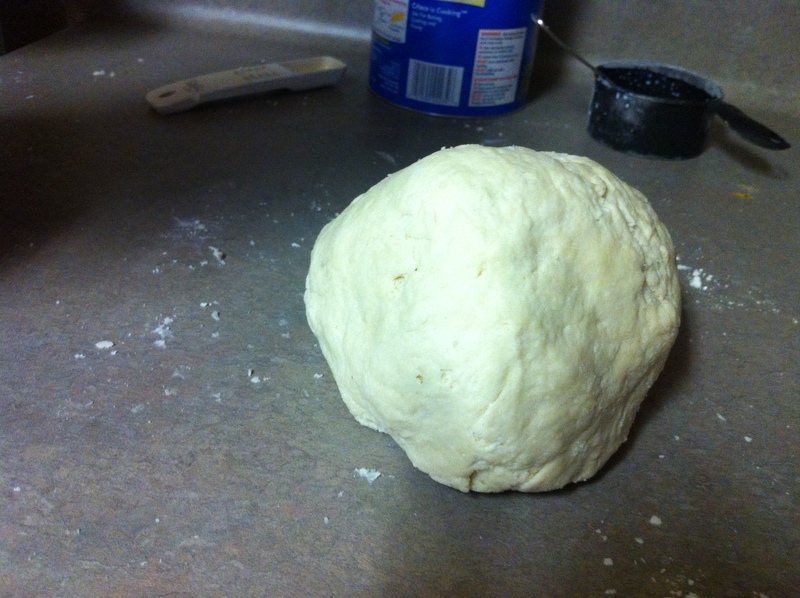 This will make about 2 dozen biscuits. You can half the recipe if necessary.